MCU believes that all individuals who seek midwifery education should be able to access it. Unfortunately, too often, this is not a reality, and midwifery education, along with the midwifery profession at-large, suffers without diverse communities and representation. We want to continue to be the change we wish to see in the midwifery community; therefore, we have created an initiative to advance social justice, anti-racism, anti-oppression and equity efforts within our college and the midwifery profession at large. 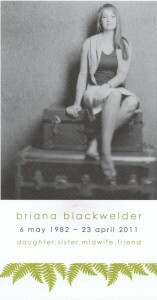 Briana Blackwelder is an MCU graduate and friend of MCU who left this earth at the tender age of 28. 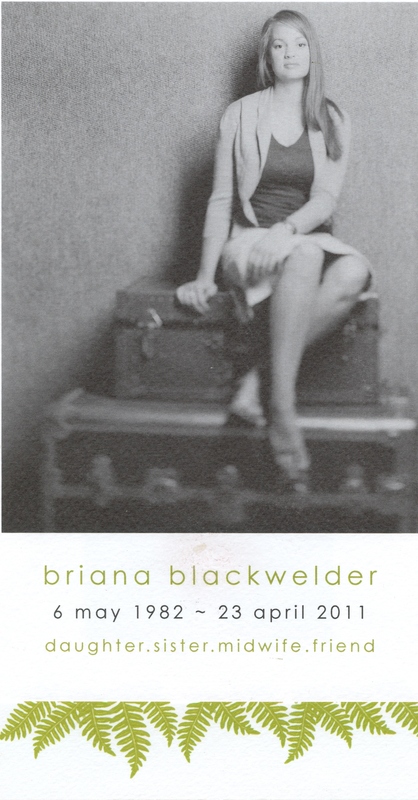 Listen and learn from Briana as she shares her own philosophy about womanhood and birth. In honor of Briana’s wisdom and personal philosophy, MCU offers two scholarships that provide complete tuition relief: 1) Social Justice and Health Equity Scholarship; and 2) Equal Access Scholarship. With these scholarships, MCU strives to advance our goals by ensuring inclusive representation and support of diverse social identities and locations in midwifery education, including racial, ethnic, sexual orientation, gender identity, socioeconomic, and religious backgrounds. Recipients of the scholarships will receive three semesters of tuition relief (i.e. tuition waivers) per year with the option for continuation of the scholarship, based upon continued eligibility, for up to four years of tuition relief. These scholarships are designed to provide complete tuition relief for obtainment of the BSM degree, but may alternatively be applied toward progression in the MSM program. Members of the MCU faculty, staff, and board are ineligible for consideration for MCU scholarships. Identify as a student of color and/or member of another underrepresented community in midwifery (e.g., LGBTQ). Be accepted and intend to enroll, or be currently enrolled, in the BSM degree program at MCU prior to tuition relief. Prospective applicants are encouraged to apply for this scholarship award concurrent with their admissions application. Current students may apply for this scholarship award at any time during their program at MCU. The Equal Access Scholarship strives to advance MCU’s goals of increasing the diversity and inclusivity of midwifery education and the profession at-large. The scholarship is awarded once per calendar year; we will accept applications for the scholarship beginning in January of each calendar year through July 1st. All applicants will be notified of scholarship selection by the middle of August. To apply for the Equal Access Scholarship Fund, please submit the following in a collated packet (pdf only) via email to office@midwifery.edu. The subject line should read “Equal Access Scholarship”. Please call the MCU office (801-649-5230) to confirm that your application has been received. For currently enrolled students, GPA and program progress will be evaluated as part of your application. If you feel that there are extenuating circumstances that have impacted your GPA and/or program progress to-date, please discuss this as part of your statement. Involvement in the birth profession. Completed the annual final report by the specified deadline. What the scholarship has meant for the student in terms of educational access and achievement. Students are invited, though not required, in this essay to share their suggestions for areas of improvement at MCU, including, but not limited to, the curriculum (i.e., courses), student support services (i.e., House Mothers), personnel (i.e., faculty, staff, administrators), and administrative services (i.e., financial aid). Specifically, we invite suggestions on how MCU could further include and meet the needs of a diverse clientele base in midwifery practice, suggestions for increasing a climate of inclusivity at MCU, and/or barriers identified for students of color or other underrepresented students as well as resources that could be made available to better support a diverse student body. Students of color are especially encouraged to apply for this fund. The Social Justice and Health Equity Scholarship strives to advance MCU’s goals of advancing social justice and health equity in midwifery education and the profession-at-large. This scholarship is for those who have experience in, and dedication towards, advancing social justice and health equity within midwifery and maternal-child health realms. The scholarship is awarded once per calendar year; we will accept applications for the scholarship beginning in January of each calendar year through July 1st. All applicants will be notified of scholarship selection by the middle of August. To apply for the Social Justice and Health Equity Scholarship Fund, please submit the following in a collated packet (pdf only) via email to office@midwifery.edu. The subject line should read “Equal Access Scholarship”. Please call the MCU office (801-649-5230) to confirm that your application has been received. Any barriers the student faces in pursuing a midwifery education that the student would like the Scholarship Committee to take into consideration. Describe, in a narrative style, financial need as it relates to pursuit of midwifery education, as well as any other information the student would like Scholarship Committee to take under consideration in demonstrating financial need. Two letters of reference describing the student’s demonstrated potential for success in higher education and as a future practicing midwife. Demonstrated potential for success in midwifery education. Involvement in community service, especially as it to social justice and health equity.